Please note that images are for illustration purposes only and to give you an idea of how they may look at full maturity. Little Monster Plants is a new and one of a kind plant concept that represents a completely different approach to carnivorous plants, says Justin van Kessel from Carni Flora, a Dutch based nursery for carnivorous plants. 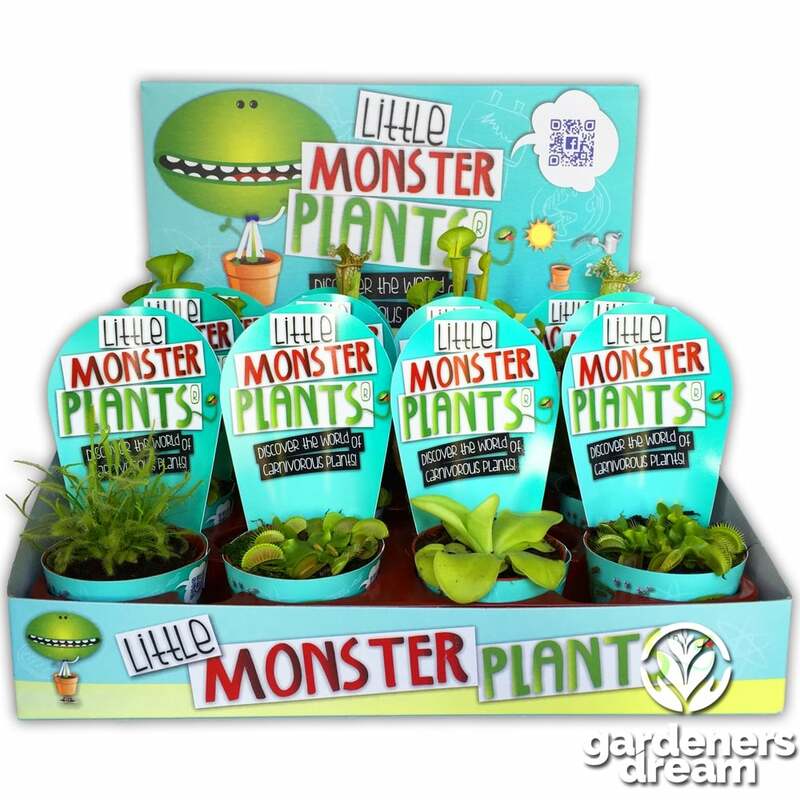 Little Monster Plants should deliver a true experience for kids and their parents. The appealing world of Doctor D. and his friends will capture their imagination in a fun and educational way. Through the Little Monster Plants Facebook-page and the YouTube-videos starring Doctor D., kids can really connect with carnivorous plants and find plant care tips and fun facts about nature. This unique online community of Little Monster Plants, will help them during their green discovery and capture their interest in plants even more. Little Monster Plants products are delivered in a ready to shop counter display. The display which contains twelve Little Monster Plants is made from recyclable coated corrugated cardboard and holds an integrated promotional top card. The retailers convenience is paramount.